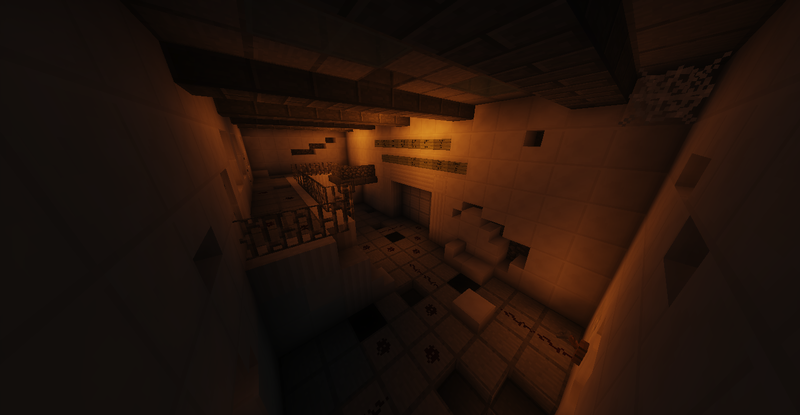 Byesford Castle is one of the most dangerous places in the MineZ map. Several buttons are needed to loot it fully, but many of the chests do not require buttons. 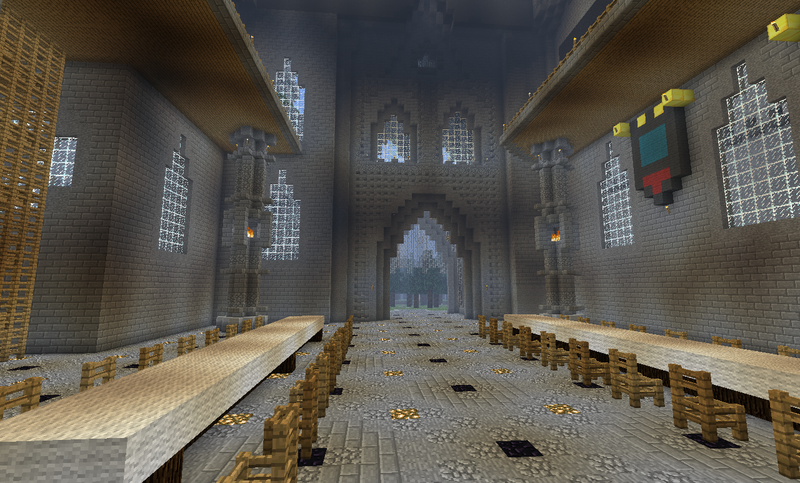 The castle is protected by many zombie spawners hidden in the walls. It is recommended to have good iron armor and health potions to get in the basement where the good loot spawns. There's no water source inside the castle itself. The lab's kitchen has a single water refill in a cauldron. Keep this in mind if you're planning on staying here for a while as you might have to go back to the sea to refill your bottles. Logging out inside the castle will teleport you out when you log back in. Cobweb placement is restricted here, meaning you cannot place them for zombie kill farming. Since the zombie spawn rate is so high, endless amounts of rotten flesh can sustain a group forever, as long as they have methods to cure possible infection. You will need a total of 4 buttons to fully loot the castle. Be sure to bring someone you trust with a lot of buttons for better efficiency. The armory is the only room with a pressure plate inside. This means that if a zombie spawns inside the armory you can lure it to stand on the pressure plate and let you in without wasting a button. This is also the room with the highest amount of room chests. The stairway in the right of the main hall goes down into the lab which spawns far fewer zombies and contains most of the loot. 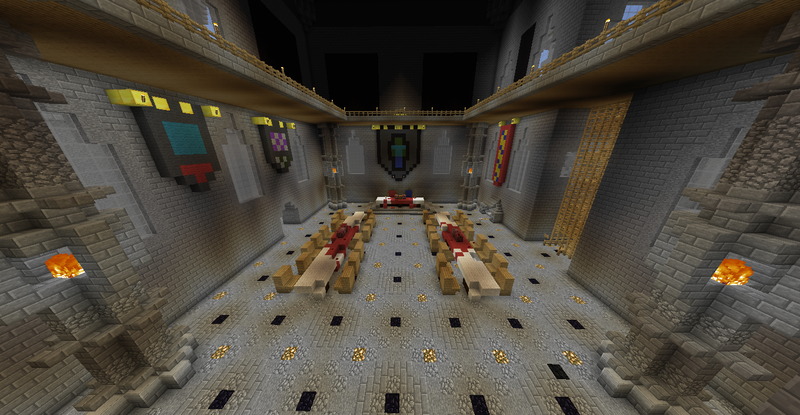 The hallway to the left leads to the outer walls of the castle where 1 mil_mythic and 2 mil_epic chests are scattered around the edge of the walls. The dungeon in the lab, Byesford Labs, is completely made by GuardenGnome. It provides some of the MineZ backstory and when finishing the last room there are two special rewards. Due to the extreme danger of this place, it may only be worth the trip if you plan to farm zombie kills. Byesford Castle is situated on an island with stone walls that can only be accessible through one entrance on the East side. There is also a new hole in the perimeter around the Northeast of the island. Having a diamond sword is recommended, due to the unbelievable spawn rate. When you walk into the front gate of the castle, beware that the entrance way and the dining hall have a combined total of 50 zombie spawners. A good location to get last minute preparation gear would be Outpost Adera. The best way to survive here is to sprint through the entrance and straight down the stairs on the right. Don't bother with the upstairs balcony or the chest on the royal table. You can't farm zombie kills on the dining hall or the thrones anymore. The top of the chairs and thrones are blocked by barriers and standing on the tables will push you off of them. There are spawners under all of them, too. When leaving, you may want to switch servers before going up the stairs. This will ensure that no zombies will be waiting for you upstairs when you leave the castle. Then sprint back the way you came in. Subject Z-87 Cell has a strong similarity with SCP-173's containment chamber from the horror game 'SCP:Containment Breach'. The dungeon itself, Byesford Labs, may be a whole reference to the SCP Foundation or the game. There's a trail of coal blocks leading from Subject Z-87 Cell, going around the second floor and entrance of the lab, then up the stairs and out of the castle, and stops at the new Northeast hole in the wall. A small gap with a skeleton skull inside is located in the courtyard behind the southern mil_epic chest. It's blocked off by iron bars. The original name of the build is Feast Castle, and it was taken from here. After Hestril's Torment was transferred to the land, mortality was stricken from people. It was here at Byesford Castle where the races worked advancing science in an attempt to cure the undead. With magic no longer available, it was a lost cause and the laboratory below was eventually overrun. Inside of Byesford Castle when it was first added. blaukat, ripfam, Xx_Kuleness_xX and 5 others like this.